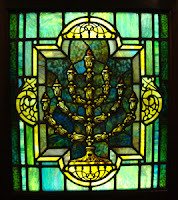 A recent visit to The William Breman Jewish Heritage Museum was a sobering reminder of the horror mankind is capable of when tolerance and compassion are abandoned. I spent the majority of my visit in the exhibit "Absence of Humanity: The Holocaust Years." Throughout my life I've had more than a passing interest in the Nazi Holocaust, specifically the stories of survivors. From a young age I read a lot about the Holocaust. We moved around a lot growing up so I was frequently "the new kid." But, one of the benefits of being the new kid that I was able to tap into was that often my teachers would leniently allow me select my own books for book report assignments. When given that opportunity, I would always read an autobiography of a Holocaust survivor. The first Holocaust book I read (when I was as a child) was "Night" by Elie Wiesel, which was many years before the book became required reading in a number of schools. Elie was 15 years old when he was taken to Auschwitz. He was later moved to Buchenwald where he was liberated in April 1945, shortly after his father's death. Years later, in 1986, Wiesel was awarded the Nobel Peace Prize. And on November 25, 2002, I had the distinct pleasure of hearing Elie Wiesel speak at the National Press Club, after which I got to meet him when he autographed for me a copy of "After the Darkness," one of the scores of books he's written. 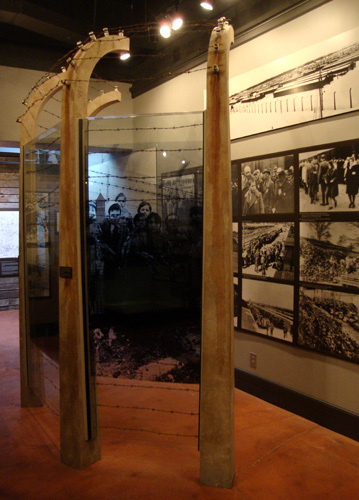 Holocaust museums and memorials around the country have often been on my must-see list when traveling, including the United States Holocaust Memorial Museum in Washington, D.C., and The Holocaust Memorial in Miami Beach, Florida. I knew about the Selig Center and The Jewish Federation of Greater Atlanta, but just recently learned about The Breman…so, I was quite anxious to explore. I picked up my ticket from Judy, the membership director, who immediately made me feel welcome. She explained the layout of the museum, but before heading into the first gallery, Judy and I chatted for a couple of minutes…a rare treat when visiting a museum. 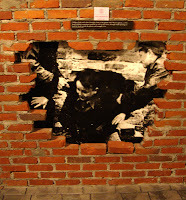 The Absence of Humanity exhibition chronicles the persecution and murder of European Jews through 12 galleries that feature photographs, documents, and personal belongings, as well as hundreds of artifacts, including a section of railroad track that lead to the Treblinka death camp, which is displayed on the ceiling. This exhibit also has five video stations playing testimonials by Holocaust survivors. The exhibits, reading, videos, and time for reflection could easily make for a full day…in this gallery alone! 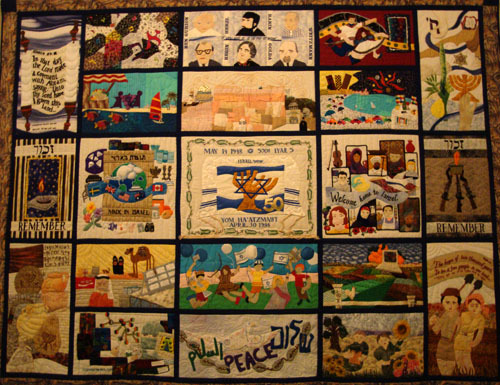 The Creating Community exhibit celebrates Jewish life, contributions, and faith in the city of Atlanta. The word centerpiece should be a plural word because this gallery has several. 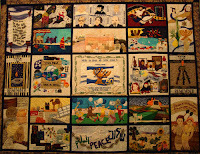 The two that piqued my interest most were a Torah scroll from 1800 and the Yom Ha' Atzmaut Quilt, created for the celebration of the 50th Anniversary of Isreal. The Against All Odds exhibit, in the special exhibits gallery, is one of a two-parter that tells the story of a sanctuary created by the Bielski brothers in the forests of Belarus during World War II were more than 1,000 Jews were saved from being killed. The 2008 movie Defiance is based on the same events. You can also pick up a book about this story in the Museum Shop. 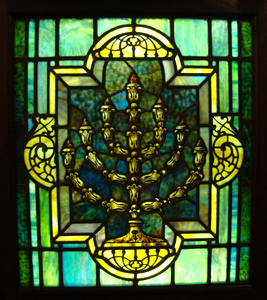 All three exhibitions are highly informative and include everything from heartbreaking testimonials by death camp survivors to awe-inspiring celebratory exhibits of Jewish life in modern-day Atlanta. I believe with every fiber of my being that we should live in the present, but equally important, I believe we should keep the past close to us for it is our greatest teacher. 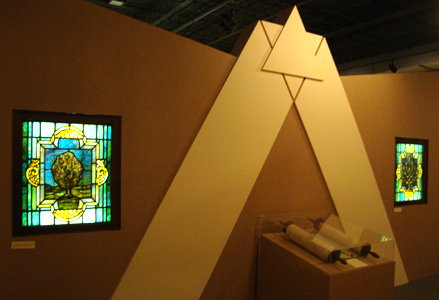 Holocaust memorials and museums stand as a pledge to never forget what happened during the Holocaust. The Breman furthers that initiative with a program called Bearing Witness. On the first Sunday of each month, a Holocaust survivor or a survivor's child, from Atlanta, shares stories of their experience. 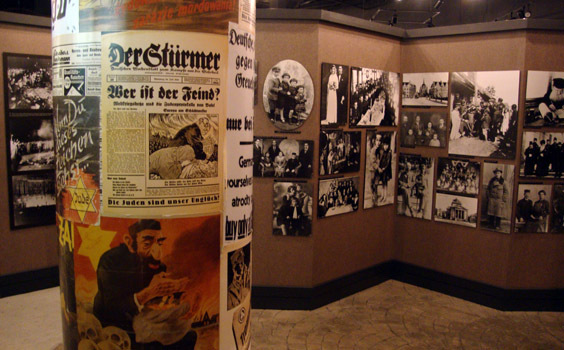 The story-sharing is followed by a guided tour of the Holocaust exhibit. The Breman has a Spring Street address, but the entrance is across the street from The Center for Puppetry Arts, just off Spring Street on 18th Street. 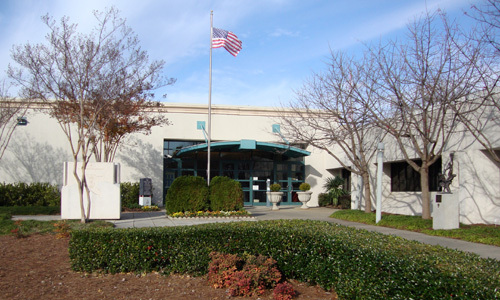 The entry is gated but has a call box from which you can speak with security to gain access. The building entry is also secure and you have to check in with security before proceeding to purchase your ticket(s). Will I return to The Breman? Absolutely. In my relatively short visit, I didn't see nearly as much as I wanted. The Museum's website recommends 90 minutes to see the museum. I recommend at least twice that amount of time if you want to see even a portion of what the Museum has to offer.